...and a charging time of fewer than nine minutes. The Fisker Emotion electric car will make its public debut at the Consumer Electronics Show (CES) in Las Vegas next week - and a new picture has shown the car that'll be displayed. Due to arrive in the UK in 2020, offering a 400-mile-plus range from its electric powertrain, the Emotion is claimed to feature "state of the art" graphene solid-state batteries that can receive 125 miles of charge in as little as nine minutes. Company boss Henrik Fisker told Autocar that this is possible thanks to the batteries' "world-highest energy density" - 2.5 times that of lithium ion batteries. The Emotion, which is said to have a top speed of 161mph, will be autonomous-capable and able to connect to its environment - necessary puzzle pieces for full driverless capability. Key to its autonomous functions will be a lidar sensor, hidden in the car's front central darkened area. This can map the world around the car in 3D. The Emotion, with its four butterfly doors, was designed by Fisker, who previously designed models including the Aston Martin DB9 and BMW Z8. In an earlier conversation with Autocar, Fisker claimed that clever packaging enabled leg room and interior space to be maximised in the Emotion. "The entire cabin has been moved forward very much, and we lowered the bonnet of the vehicle to get better aerodynamics," he said. "Because of the better packaging of an EV model, we have been able to create a more dynamic and sporty design but the leg room is on par with large luxury saloons." Fisker said that he decided to "take a risk to change the proportions" because he wants the new model's design to be original. "It’s a risk because people aren’t used to it," he explained. The finished car will be launched as the first model from Fisker Inc. It will be an expensive low-volume model with a carbonfibre and aluminium structure and batteries stored low in its floor. The car will be built by VLF - a manufacturer Fisker partly owns - and will have the necessary hardware for autonomous driving modes. The software for this will be developed and supplied by external companies, in a move that Fisker believes will help to streamline costs and maximise efficiency. When the car goes on sale in the US in 2019, it'll be priced from $129,900 (£96,071 at current exchange rates). Fisker has recently filed for patents securing solid state battery technology that it claims will enable a 500-mile range and charging that can take just one minute. It said that the technology could be production ready for automotive platforms as soon as 2023, but that non-automotive applications may be able to utilise it earlier. Fisker also told Autocar that there will also be a second, higher volume and lower cost model to follow. He said: "Production for that will be handled by an established car maker, because the established car brands have really mastered high-volume, high-quality car production". 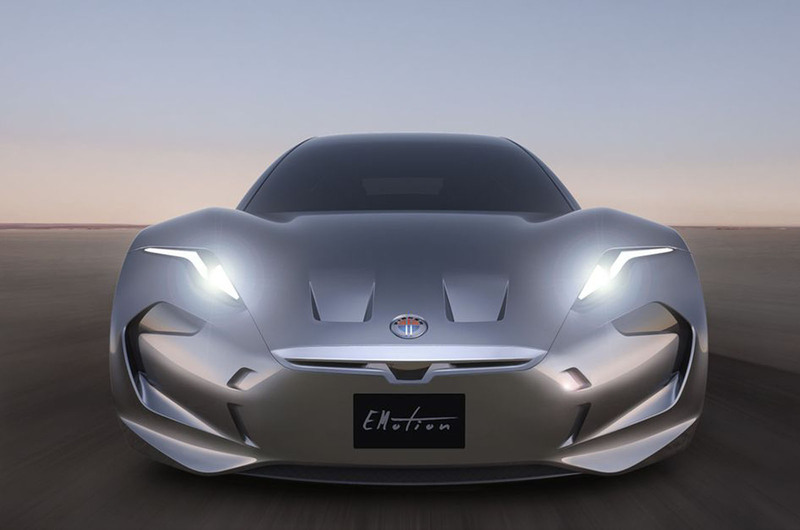 While he refrained from going into further detail as to what brand he hopes would produce this car, Fisker did at least confirm the model will be built upon a modular EV platform. "It will be scalable, so more models can be created from it in the future," he said. With more models planned for the future, Fisker Inc could become a rival to the likes of Tesla and electric brands from mainstream car makers, including Mercedes’ new EQ sub-brand. We hope that the company is solid and serious and will not go bankrupt again. Don't turn Fisker into fiasco, your designs are refreshing. So which will be the first mainstream manufacturer to dump ICE for EV only and when? I doubt mainstream OEMs will dump ICE anytime soon as it is a revenue generator for them, and none of them have the technology yet to go mainstream with it. Maybe Fisker can be the one with the tech and the design to partner with one of them. Ford sounds like the right one. Just because I like to comment on posts, I also have to read them. In that quest I read https://www.altoconvertpdftojpg.com/blog/how_to_convert_pdf_to_jpg and really liked it. It was some qaulity information I received. Anyone who cares can Google grapheme battery technology will immediately see that whilst there have been many claims of fantastic improvements with grapheme compated to Li-on polymer nobody has yet produced a battery for independent testing. Who knows what the future holds but currently it is only snake oil salesmen that claim the technology is production ready. Before any major Motor manufacturer dumps ICE for EV a real world range of about 300 miles plus is needed for a similar retail price as current diesel cars. I suggest £20k -£35k price range. This is again going the way that I was thinking it would because of thesis writing service review. I know that people are not happy about it, but they need to be so that they can work on it. This is great news. I am sympathetic to what happened at Fisker despite the amazing company Henrik Fisker built and the innovation he brought into the automotive industry. Sorry for your battery maker. Good news you are focussed on keeping batteries in-house. I admire your tenacity and desire to innovate.